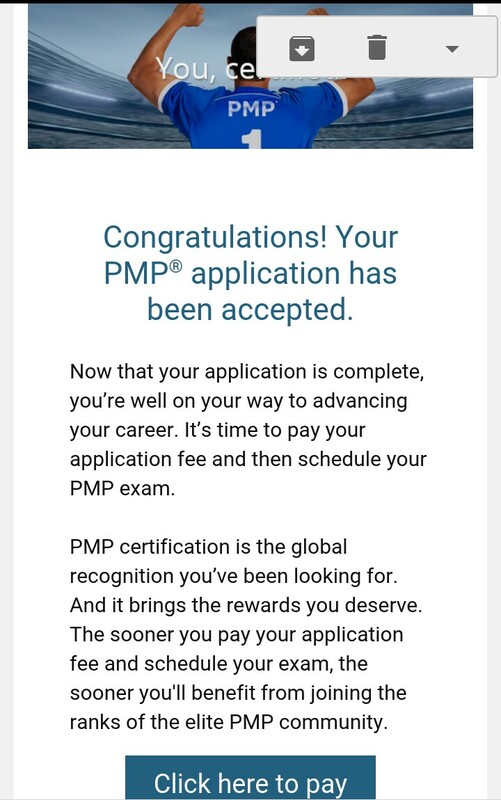 I applied for PMP certification on 20th Nov. On 26th Nov i received a mail for payment. Again yesterday i got another mail stating my application is accepted (Mail content: Congratulations! your PMP application has been accepted. Pay application fee and schedule your PMP exam) and i may proceed to pay. 1. My query is when should i be asked for audit process. After payment is being made ? 2. Since i already received "Application accceptance mail (Though i Yet to pay the fee)" from PMI so does it means that i was not selected for audit and directly i can pay the fee and schedule the exam without facing the audit process? 3. 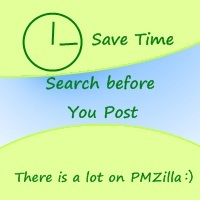 What is the disadvantage of being selected in audit (Except time lag)? The audit can happen even after you become PMP certified. However, it usually happens immediately after the payment is made. Now there is very less chance of audit, since you have have made the payment and not received any audit mail. There is not disadvantage of being audited. You can read more about audit here - 25 Frequently Asked Question on PMI PMP Audit Process.